Since ancient times, Burmese jade has been considered the finest jade gemstone, treasured by the Chinese for its gentle green glow. Few gemstones evoke visions of the East as green jade does. Burmese jade has long been considered the quintessential green jade gemstone. The Chinese, especially, are great fans of this jewel, consuming the production of this gem for centuries. What we know as jade is two related stones – jadeite and nephrite. Burmese jade is jadeite, and may also be known as Burmese jadeite. What Color is Burmese Jade? Aficionados celebrate the color of Burmese jade. With a pure and even hue, it's easy to see why the Chinese consider it to be the "Stone of Heaven." Streaking and mottling are frequently present in jadeite, providing unusual patterns that talented cutters exploit to fashion fascinating jade jewelry. Burmese jade occurs in several different color varieties. 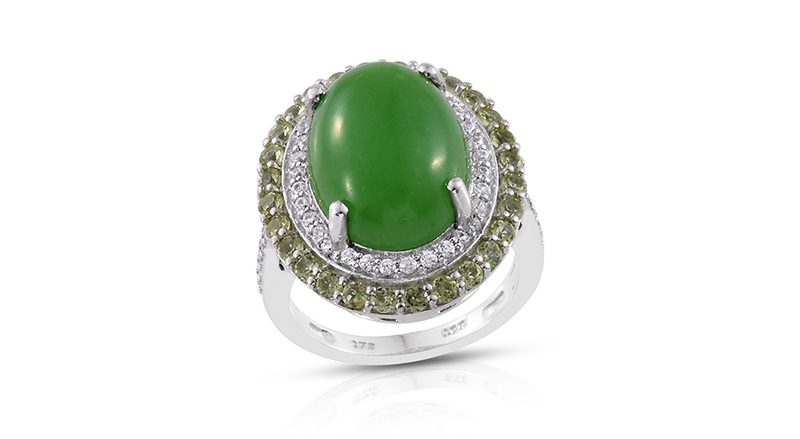 • A transparent green, similar to emerald, is historically the preferred jade color. This is known as imperial jade. • Below Imperial jade is kingfisher jade. Its hue is slightly less vibrant, but very treasured. • Apple jade is a yellow-green color. • Moss-in-snow jade is a translucent white color, with patches or veining of intense, vibrant green. • Burmese jade can also be found in other colors such as white, purple, pink, blue, yellow, and orange. Is Burmese Jade a Durable Gemstone? Burmese jadeite is also known for its excellent durability. It’s a very tough stone, and for centuries artisans have shaped the gem into all manner of sculptures. Jade is also one of only a few stones suitable for shaping into hololiths. A hololith is a piece of jewelry that has been carved from a single stone! Jadeite, in particular, is popular for carving into hololith jade bangles. Ranking between 6.5 to 7 on the Mohs scale, jadeite is a suitably hard gemstone. Suitably resistant to abrasion and scratching, it couples well with jade’s durability for jewelry that’s perfect for daily wear. Hololith bangles are very popular for this stone and Burmese jade features in the Treasures from the Orient and Bali Legacy collections by Shop LC. Burmese jadeite undergoes bleaching, dyeing, and impregnation. These treatments improve the appearance of the stone and also enhance its durability. Gemstone treatment is a common practice throughout the industry, and reputable sellers will always disclose any treatments a gemstone has undergone. How did Jade Get its Name? 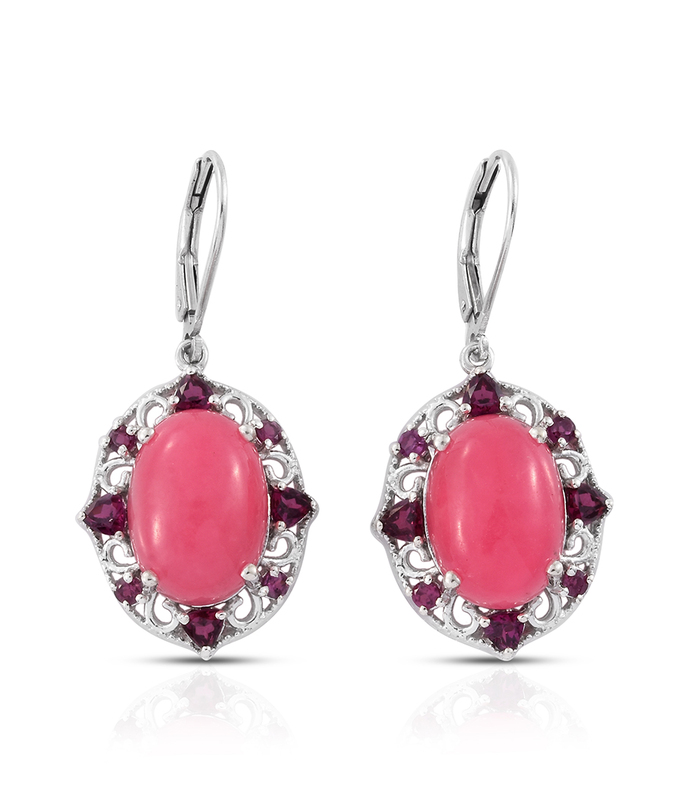 • The gemstone received its modern name from Spanish roots. The Spanish word piedra da ijada meant “stone of the flank.” This stems from a belief that jade could be used to treat the pain caused by kidney stones. Likely, this idea was circulated by Spanish explorers who visited the New World. Many native tribes of Central America would wear talismans of jade gemstones to treat kidney problems. Why is Burmese Jade Called the Stone of Heaven? • In Chinese, the symbol for jade is the character yu. It symbolizes the link between heaven and earth. To the Chinese, jade symbolized many virtues, notably wisdom, purity, long life, and good health. • Many positive health properties were ascribed to jade. It supposedly would strengthen organs such as the heart and lungs, in addition to prolonging one’s life. In Ancient China, a popular drink was the “divine liquor of jade.” This potion was a mixture of jade, rice, and fresh water, boiled in a copper pot. The mixture would then be filtered and drunk. In addition to physical health benefits, the tincture was said to calm the mind and rest the spirit. • Strings of jade beads were used to denote persons of high rank in Ancient Chinese culture. The custom has its roots in the oldest symbol for king, or authority – a string of jade beads. Jadeite comes from several sources worldwide. This prevalence is documented by the discovery of prehistoric jade tools at archeology sites across the globe. It was fashioned into objects such as ax heads and other cutting tools. Most experts agree that the finest gem-quality jade comes from Northern Myanmar. For centuries, the Kachin Region has produced the most famous jade. How is Burmese Jade Mined? Historically, jadeite in Burma was mined through artisanal methods, utilizing hand tools and traditional techniques. Miners used these techniques for centuries. After the military junta government took control of the country in the early 1960’s mining techniques were slowly mechanized. The majority of jade is mined in open pits through the use of specialized machinery. Along with high-pressure water hoses, much of the northern landscape has been scoured while searching for this gem. Artisanal miners and methods still exist, but for many years they were considered illegal. Modern reforms are evaluating the process for reform, but progress has been slow. What is the Block Burmese JADE Act of 2008? Otherwise known as the Tom Lantos Block Burmese JADE Act of 2008, the law prevented Burmese jade and ruby to be brought into the United States. This law was in effect until 2016, when the Obama Administration finally ended the embargo. Burmese ruby and jade were blocked from entry into the United States as the former Myanmar government was denounced worldwide for human rights violations. In 2011, a new democratic government took power. 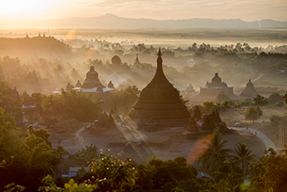 The JADE Act was ended in 2016 after sufficient progress was made in advancing the welfare of the Burmese people. 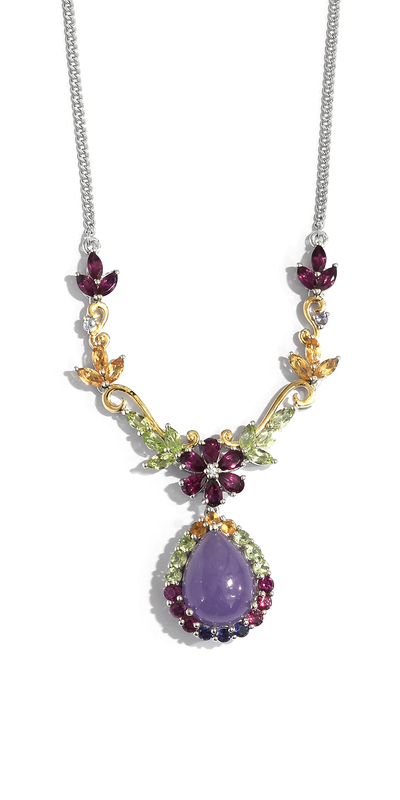 Shop LC is committed to lawfully and ethically sourcing gemstones from our partners worldwide. The new democratic government stopped issuing new permits for mining and stopped the renewal of existing mining permits. Their goal is to completely overhaul the mining process in Myanmar to ensure the best treatment of workers. Ranks 6.5 to 7 on the Mohs scale of hardness. Burmese jade possesses an even green color. The finest quality is a transparent emerald green, known in the gem trade as “Imperial jade. Sourced from the Kachin Region of Myanmar (formerly Burma), near Hpakant. Burmese jade is bleached, dyed, and impregnated to improve color and durability.